Hi, I'm Linda Willard. 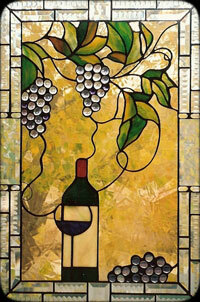 I first became interested in stained glass work many years ago while looking for artistic expression. My interest quickly blossomed into passion and I became a full time professional in 1996. I currently work from a studio at my home on the west side of Colorado Springs, Colorado. I find artistic inspiration from many sources. Classical Victorian designs, art deco, modern abstract, popular culture and the profound beauty of nature all seem to find expression in my original designs. I especially love to explore the dynamic interplay of light and color. 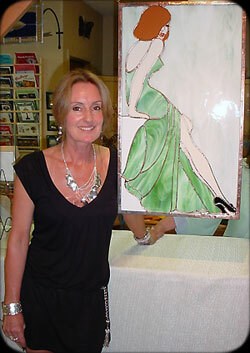 I love creating original custom windows and art pieces. I also do expert repairs and have a wide variety of gift items available.